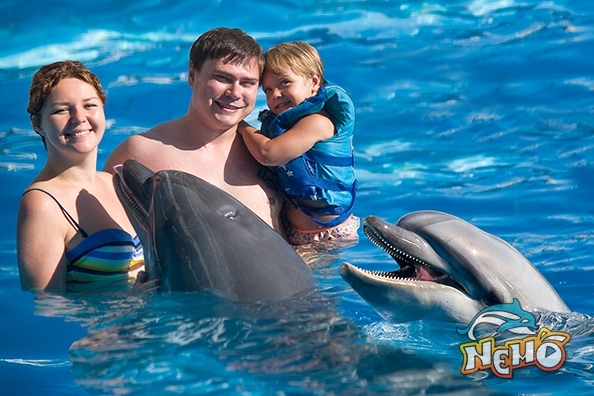 After performance You have a unique opportunity to take photos with dolphins. 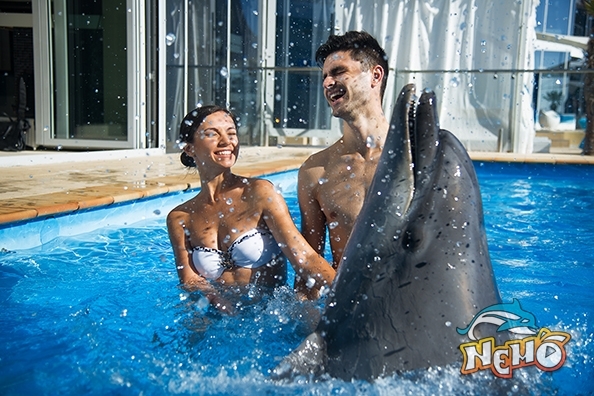 Taking photos with bottlenose dolphins will leave in Your memory unforgettable positive emotions from communication with these unique sea animals. 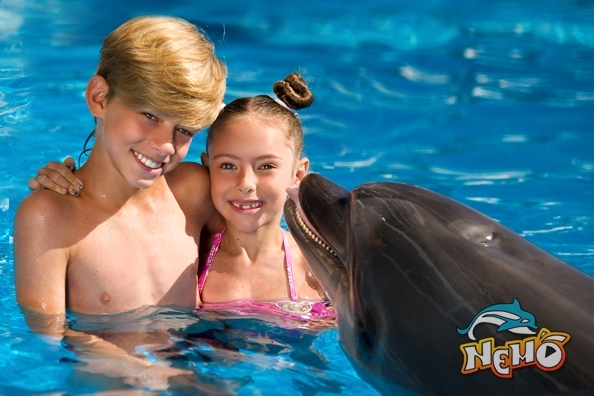 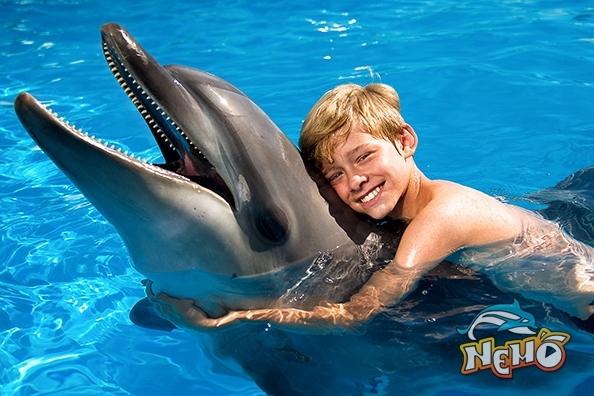 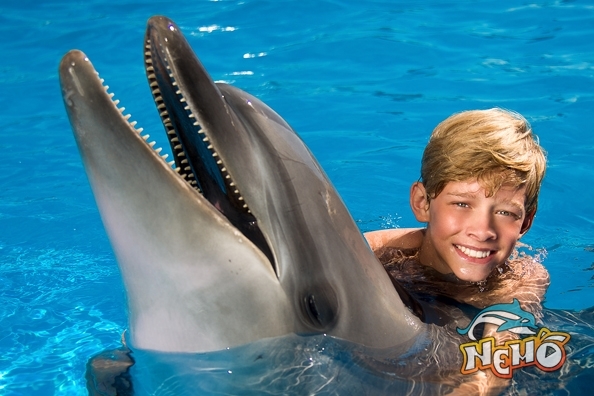 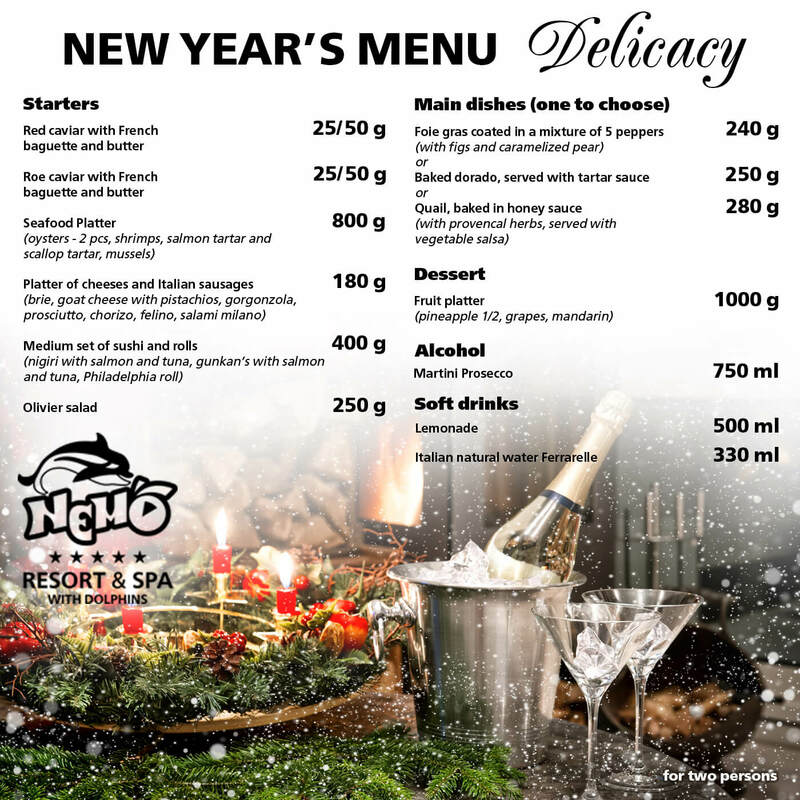 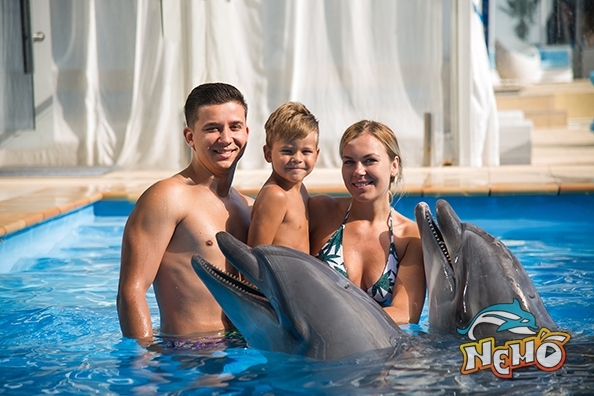 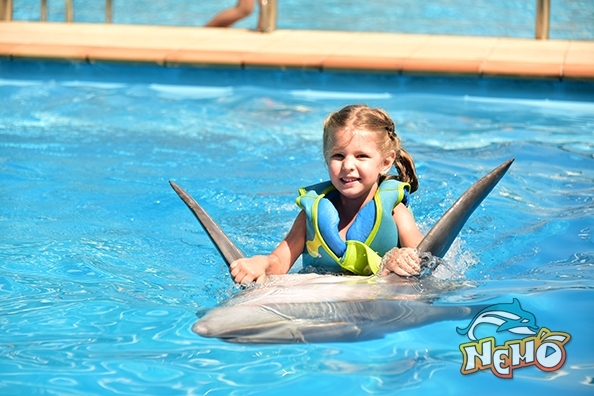 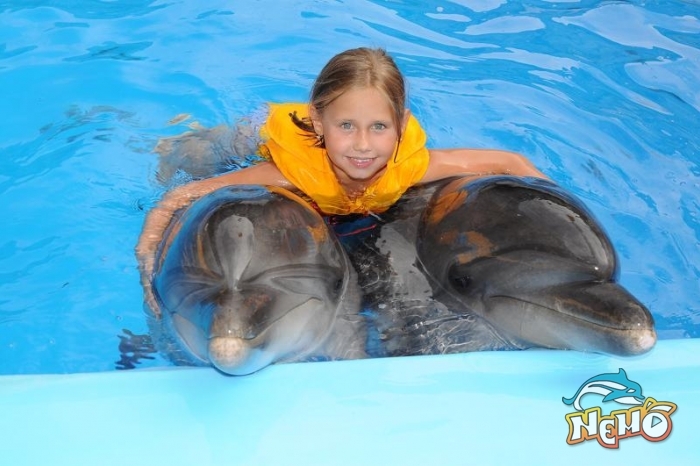 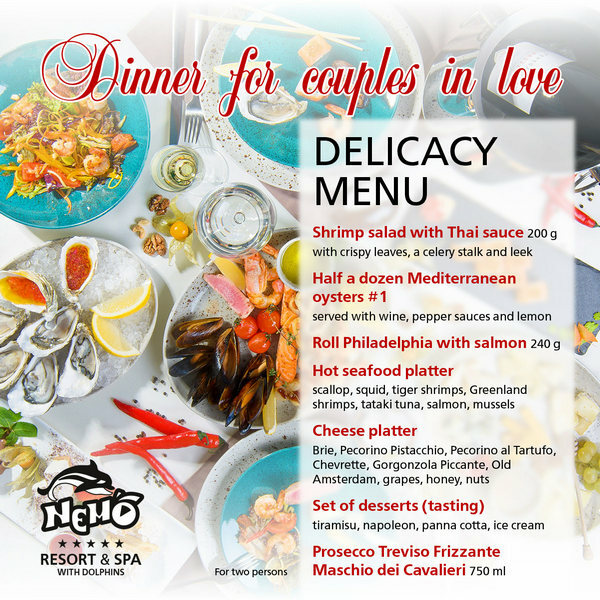 Photo on dais with dolphins (up to 5 people) — photos on your camera on our camera сost You can see the description page for prices. 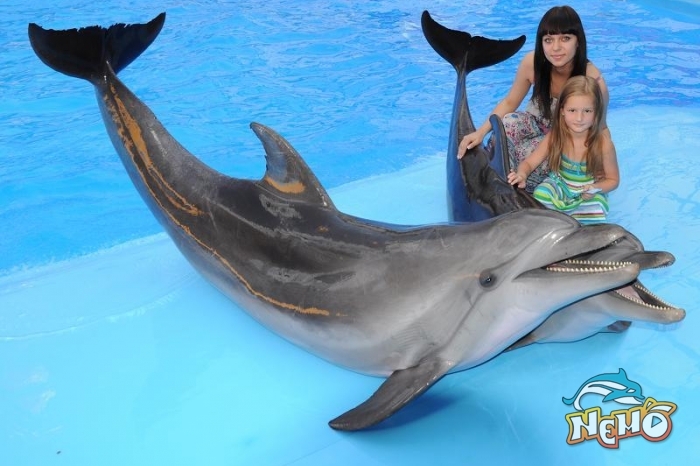 After the end of the show you come on a dais and dolphins will come to you. 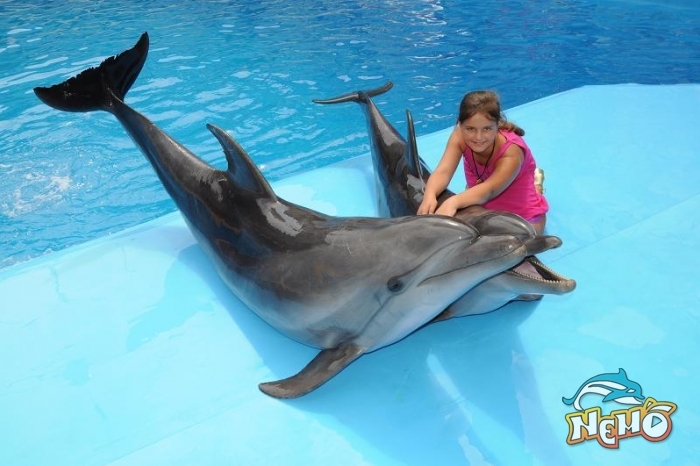 You will be able to pat them and get bright photo for memory. 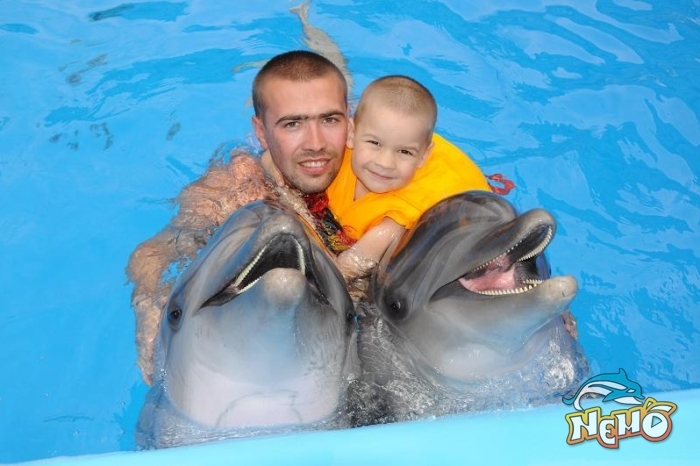 Сost photo in water with dolphins (1 person) You can see the description page for prices . 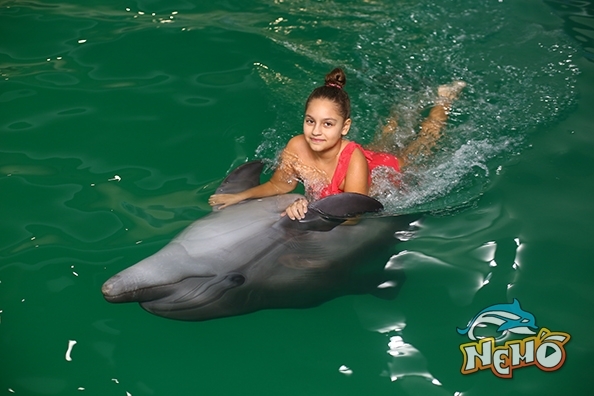 You will dive into water and dolphins will give you fins and ride 1 circle in circumfery of pool and You will get unforgettable impression together with beautiful photos.